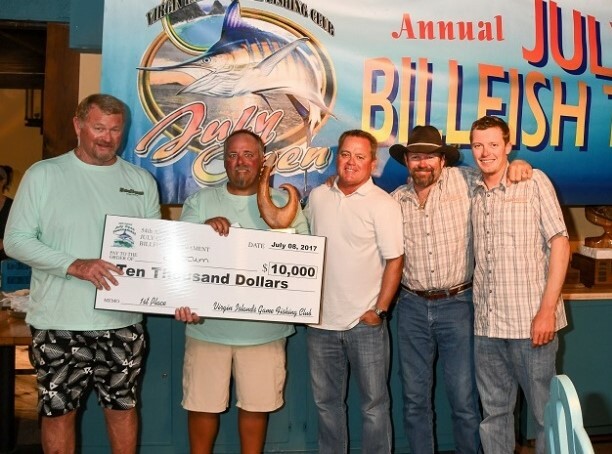 Two boats nearly swapped places on the leaderboard during the third and final day of fishing in the 54th July Open Billfish Tournament (JOBT). In the end, it was Sodium that earned Top Boat and the 75-foot Weaver’s owner and angler, Chad Damron, who won Top Angler with six blue-marlin releases. Virgin Islands Game Fishing Club (VIGFC) hosted the event. By midday, the release tally was five blue-marlin for Sodium and four for Never Say Never, a 72-foot Merritt owned by Jim Carr of Coral Gables, Fla. (Last year, Never Say Never won Top Boat and one of its anglers, 15-year-old Zachary ‘Zac’ Murck, of Davie, Fla., Top Angler). Then, Sodium hooked up. But the marlin broke off the hook. Never Say Never used the opportunity to tease up a blue and connected with a release. This tied both boats with five releases apiece, with Sodium still in the lead based on time. For his Top Angler win, Damron will have his name engraved on the prestigious Captain Johnny Harms ‘Give Him Line’ Trophy. 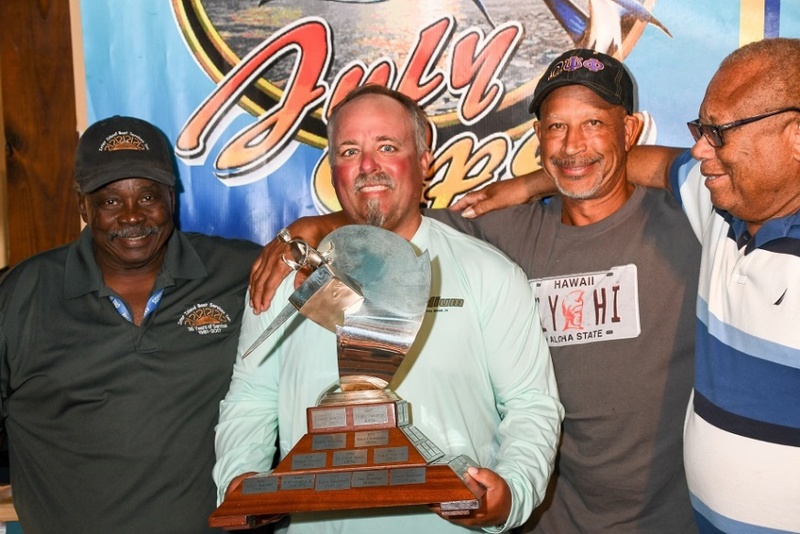 Past winners of this trophy read like a Who’s Who of blue marlin sport fishing. Angler Elliot Fishman’s winning 845-pound catch in 1968 set an all-tackle world record. Only two anglers have reeled in this honor two times – the late Howard Crouse in 1965 and 1988, and Puerto Rico’s late legendary angler Ralph Christiansen in 1973 and 1984. Local charter boat, Mixed Bag, a 40-foot Luhrs based out of The Westin, St. John, with Capt. Rob Richards at the helm, finished third in the boat standings with the release of three blue marlin total. In total, the six-boat tournament fleet caught and released 19 blue marlin and one white marlin in three-days of fishing. Teams in this longest annually held angling contest in the V.I. 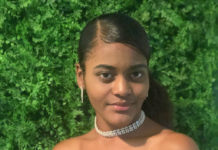 represented the Virgin Islands, Puerto Rico and U.S. mainland. Sponsors included IGY’s American Yacht Harbor; Fish Tails Bar & Grill; Southern Glazer’s Wines & Spirits, distributor of Mount Gay Rum; and Yeti. and Yeti. 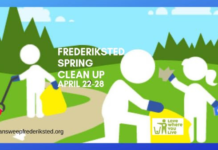 For more information or to register, visit: www.vigfc.com or call (340) 775-9144. Or visit VIGCF on Facebook.